There are some plants that just seem to be out of tune with the seasons. 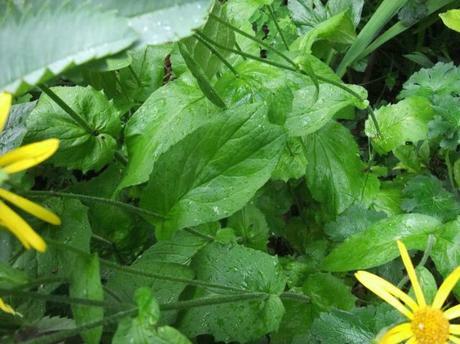 The Doronicum pardalianches (or Leopard’s Bane) is one of those. It is flowering away in my garden at the moment but when you see it the reaction is shouldn’t that be flowering when the other daisies are flowering in late summer? Even my mother, a novice gardener, on seeing the plant flowering in a garden we visited back in early May was surprised and assumed that the plant was confused because of the funny weather we have had. However, the plant is right and we are the ones confused by our misplaced assumptions. Doronicum pardalianches flowers from late spring to midsummer on wiry stems about 90 cm tall. The interesting thing about Doronicum pardalianches apart from its early flowering is that it prefers partial to dappled shade and mine is growing very happily in my shady/woodland border. 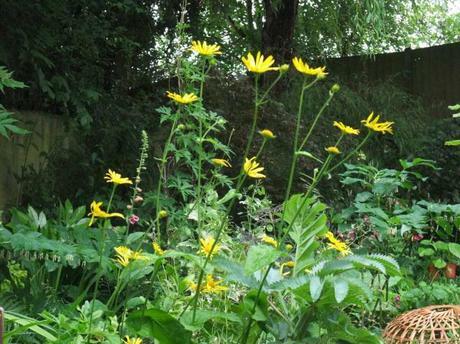 Being a shade lover it also does well in moist soil that drains well. It isn’t the easiest plant to photograph especially in the wind and rain. However, what I really like about it is on another gray and gloomy day like today the flowers shine out from the border. They seem to stand up to the weather well unlike the peonies which are rain-sodden and hanging down despite the purpose bought supports. The other thing to be aware of is that it self-seeds quite prolifically and this spring I have weeded out masses of seedlings. I think next spring I will leave some and let the plant spread more. I have included this photograph of the foliage albeit a bit battered since I think it is important to see the foliage when considering a plant not just photographs of a flower. I have grown many a plant for the flowers only to be dismayed at the vast size of the leaves which have swamped neighbouring plants. 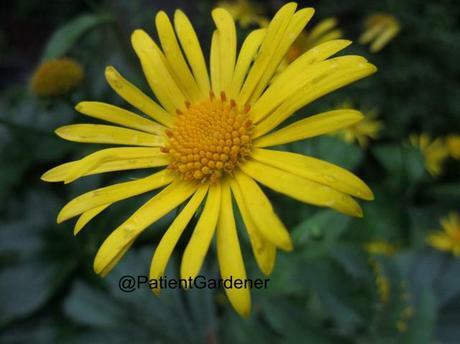 The leaves of the Doronicum pardalianches are 7-12cm long and are quite good for hiding the dying leaves of early flowering bulbs such as daffodils and tulips. This is a good robust plant which really delivers and I am surprised that it isn’t more widely available. It is originates in central/western Europe although my wild flower book doesn’t indicate that it is native to the UK. I wonder if gardeners prejudice against yellow flowers, which seems to be quite common, is one of the reasons it isn’t grown more.